For service that you can trust, there's no better place to go than McDonald Nissan. Whether you have a small request or a big service job, our state-of-the-art service centre can handle it. When you bring your vehicle to McDonald Nissan, you're bringing your Nissan vehicle to a service centre with years of experience and quality work you can trust. The team of dedicated service technicians at McDonald Nissan have years of experience working on Nissan vehicles. That is why there is no better place to bring your Nissan than McDonald Nissan. From small jobs such as oil changes to full-service requests, our team can handle it. 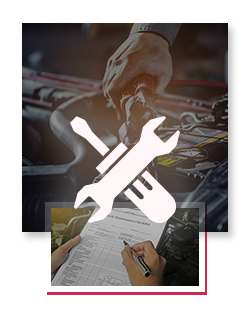 When you bring your vehicle to be serviced at McDonald Nissan you can trust that we are only using state-of-the-art equipment and genuine Nissan parts. We ensure the reliability, performance and value of your Nissan vehicle in the long term. At McDonald Nissan, we're always working to make you happy. That is why our special offers are also available in our service department as well. When you bring in your vehicle to McDonald Nissan, be sure to check out our special offers and see how we can help you save on your next appointment. At McDonald Nissan we know how quickly your life moves and have designed our Express Service to keep up with your pace. Just drive in and a Nissan-Trained Technician will complete a Nissan Synthetic (0W-20) oil and filter change, complete a 27 point inspection and if your schedule permits, provide a complimentary car wash. All for just $69.95*! Come into McDonald Nissan today and let our team of experts help you.